Haripad lies on the National Highway #47 that interconnects the major tourist destinations of South Kerala like Thiruvanathapuram, Alappuzha and Kochi. It is located 125km from The Cochin International Airport and 130km from the Thiruvanthapuram International Airport. Haripad, on its own, boasts of a few places that will interest the tourist traveller. The town lies close to the Arabian Sea. 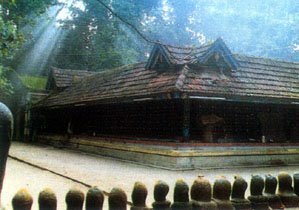 The place is dotted with many temples including Subrahmanya Swamy and the Mannarasala Sree Nagaraja temple. The limitless expanse of paddy fields and criss-crossing waterways of the nearby areas is another visual delight. One can also take leisure rides on the houseboats in these waterways. Haripad is ideally suited to take a break while travelling across Kerala and Jeena Residency Hotel provides the best facilities to ensure that your stay in Haripad is comfortable, relaxing and enjoyable.